Dog’s eyes are pretty much self maintaining but occasionally you do run into problems and need to take some steps to clean them. Tear stains (or poodle eyes) are common issues which leave dark brown marks under dog’s eyes. 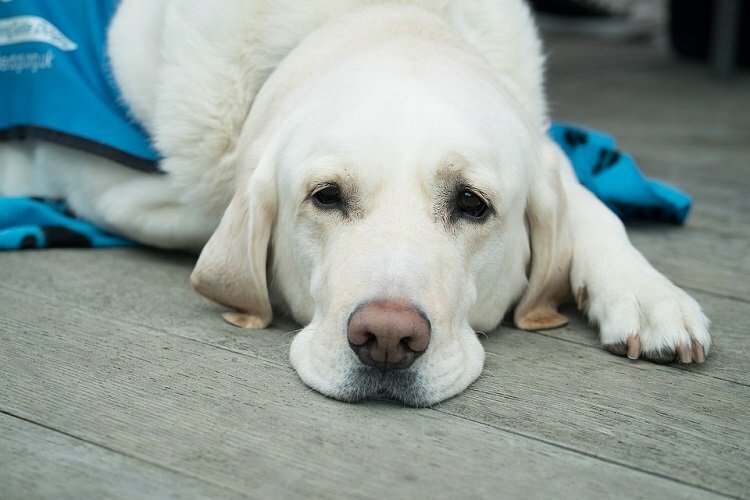 Today we will take a look at some easy ways to clean dog’s eyes and get rid of issues like tear stains and crusty eyes. Make sure that your pet is completely relaxed when you wish to clean dog eyes crust. You can start by touching its jowls and petting it. Use soothing voice and pet the dog first. This will give you access to those hard to reach areas. You can then proceed to clean dog tear stains with home remedies described below. The best way to clean dog’s eyes and get rid of gunk and crusts is to use soft cotton wool soaked in warm water. Dip the cotton in water and squeeze out the excess. Use the cotton to wipe off the goo from dog’s eyes. You can also use a soft cloth or makeup pads without any alcohol or chemicals on them. Avoid touching your pet’s eyes directly. Just like humans cannot stand anyone touching their eyeballs, dogs are pretty touchy about it as well. To make homemade dog eye wipes to get rid of tear stains and gunk or crusting, use food grade 10% hydrogen peroxide solution. Dip a cloth or cotton pad in the peroxide solution. Gently clean the pet’s eyes and stained area. Make sure not to get the solution inside the pet’s eyes. With the other, gently wipe the eyes with tear stain remover pads. Press the pad gently on the stained area and move with and against the hair. Many pads are usable on both sides-so you need a single pad for both the eyes. As a part of maintaining your pet’s eye health, you must feed it a healthy diet. Additionally, use supplements like Omega 3 essential fatty acids. These contain EPA and DHA which reduce inflammation and improve eye, joint and heart health in dogs. 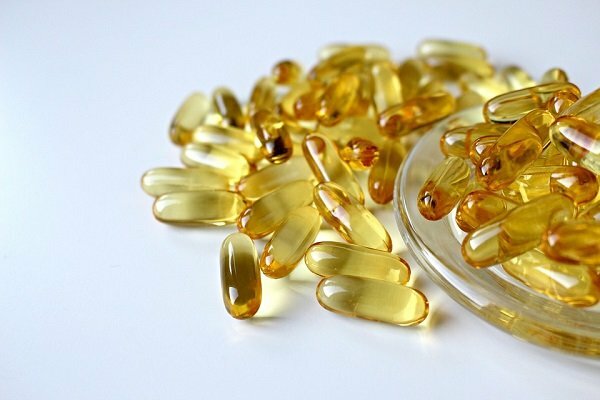 Omega 3 essential fatty acids are best obtained from mercury free salmon, cod or other fish oil. These can also prevent shedding and improve condition of fur. Make sure your dog is not allergic to it-fish oil can cause allergic reactions so do check with your vet first. Excessive tearing could indicate allergies or other health issues. Have it checked with the vet. If your dog’s eyes are producing more gunk than usual, then too it may be a time for a trip to the vet. Certain dog breeds are prone to tear stains. These include dogs with light coats or single coated long haired dogs. Dogs with brachycephalic (bulging eyes) are also prone to tear stains. Some dogs have congenital issues which can require surgery for reducing tear staining. Coconut oil for dog tear stains is a wonderful home remedy that is natural and gentle. 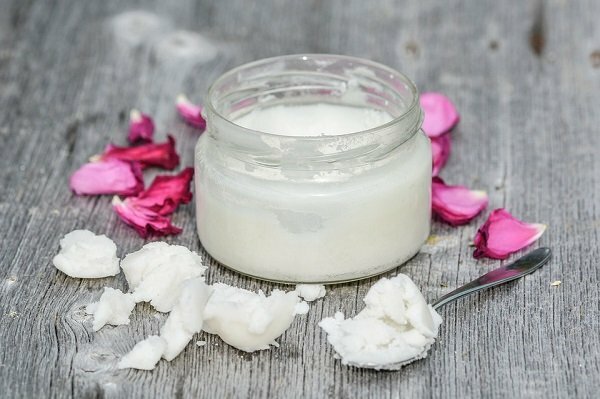 Take a bit of coconut oil on a clean soft cloth or cotton wool and wipe the stained area. Avoid getting the oil inside dog’s eyes though if it does, it will not harm your dog. Also feed coconut oil to dog on a daily basis. Coconut oil has anti-inflammatory properties which improve dog’s eyes and skin health. Witch hazel has mild astringent properties that are great for cleaning dog’s eyes and tear stains. Take a bit on some cotton wool and wipe off the eyes gently. Repeat daily for great results. Even the best tear stain removers on the market cannot get rid of redness caused by tear stains. So you will need to clip off the stained fur around the eyes. Make sure you know how to use the electric trimmer first. Alternatively, trim off stained fur with scissors and clippers gently. If needed, get your dog groomed at a pet salon. Face cream, corn starch, makeup powder etc can be used to mask the stained areas. This is in case the above methods do not show results. 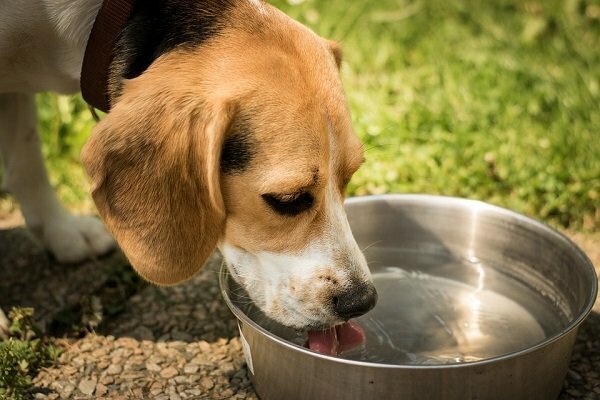 Feed your dog distilled or filtered water only. This is necessary to ensure that the tear stains do not increase in size. We hope these 12 easy ways to clean dog tear stains show results.